You may not have to say goodbye to bath bombs forever, but you can definitely say “See you later!” Bath bombs are great for smoothing your skin, altering your water to a smoother texture, and smelling amazing, but there are also down sides. With the salts and oils bath bombs contain, it can irritate your skin especially if your skin is sensitive, and they can give off a really strong smell, causing a headache. 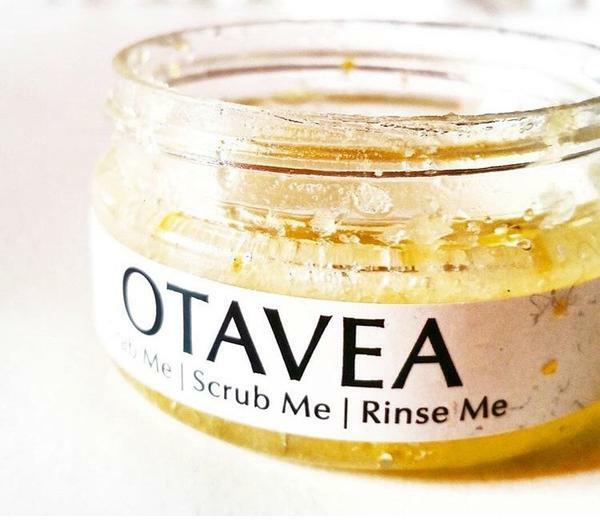 Body Scrubs can be much more efficient, especially if you are getting them from Otavea. Strawberry Body Scrub– The Strawberry Body Scrub literally smells like a jar of strawberry jam once the lid is popped open. Although we jokingly thought of spreading it across our toast, we spread it across our bodies instead. Loaded with Vitamin C, this Scrub restores and hydrates damaged skin. The most comforting benefit of this Scrub is that it is made of pure cane sugar, cold-press organic oils, and actual real strawberries! If you look closely at the Scrub you can see the real, small strawberry particles that make up the product. Lemon Body Scrub– Ever notice how the smell of freshly peeled or cut lemon fills the entire room? When our experts popped the lid on the tub of the Lemon Body Scrub our noses fell in love with the smell. We could not wait to try it, and sure enough once we did, our bodies alone smelled of a lemon farm. The lemon oils are essential for this Scrub as the oils have antioxidants which are put to use by fighting bacteria and cleaning pores while the actual lemon peels reduce scarring while helping boosts collagen. Peppermint Body Scrub– This Scrub has a cool cooling effect that you can feel once you try it. The Peppermint Scrub has crushed peppermint leaves and pure peppermint oils to sooth tired muscles and revive senses. Our experts felt as though the peppermint scent of the Peppermint Body Scrub opened our pores while the Scrub scrubbed our skin smooth and soft, deep-cleansing each and every pore. E also incorporated into the formula soothes and moisturizes your skin while boosting your skin’s natural protection. The aroma of this Scrub smells highly of coffee with a hint of chocolate, the perfect mix for you coffee-drinking, chocoholics. A common misconception is that bath scrubs are for women, when in fact there are scrubs for men, too. We had our male expert test out Otavea’s Scrub For Men and he was just as in love as us women were. 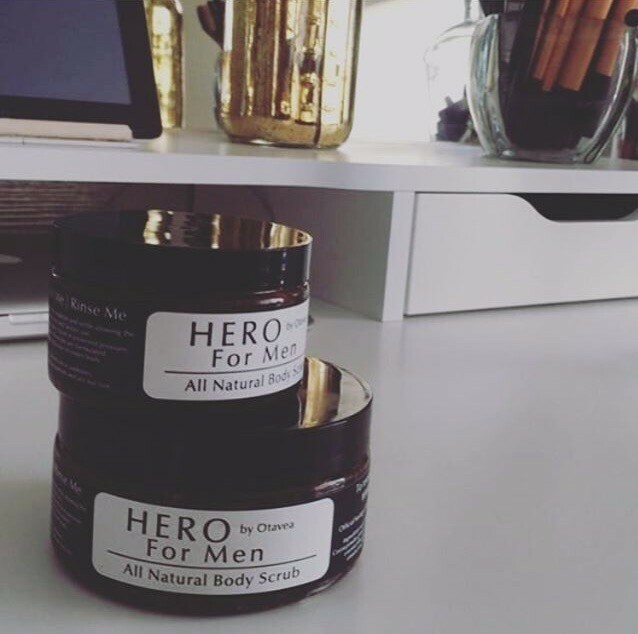 Hero For Men Body Scrub– Jam-packed with antioxidants, caffeine, and essential oils, this Hero For Men Body Scrub leaves a clean, smooth, and refreshed feeling. 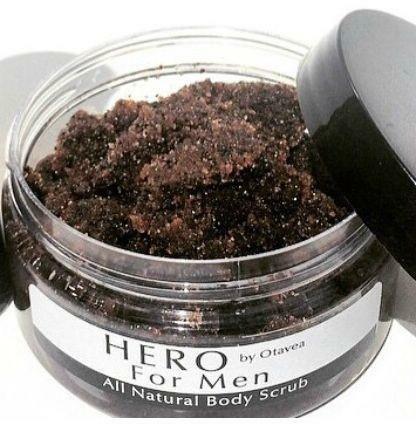 Very similar to the Coffee + Chocolate Body Scrub, Hero For Men targets stretch marks, cellulite, eczema, acne, scarring, uneven skin tone, and dull skin. Yes, men do get cellulite, yes men get skin flaws, so this Scrub is perfect for all men with any skin issues they may be facing. Check out our Otevea & Love Light Lips Makeup Tutorial and watch our expert gloat about how much he loved Hero For Men, especially the smell and how after using the Scrub his skin felt beautiful and soft. Our experts walked out of the shower with glowing, fresh skin after applying each Scrub to moist skin, scrubbing it, then leaving it on the skin for at least two minutes before rinsing off. Both the men and women of our experts were amazed at how the scrubbing aspect of the product was beneficial for their skin, and did not irritate them in any way. Incorporated into each Scrub is tiny granules that exfoliate the skin. Each Scrub is not tested on animals, nor contains any parabens, PEG’s, chemicals, nor additives. It is a world fact that fruits are extremely healthy and should be an essential part of everyone’s diet. If fruits are great for the inside of your body, Otavea proves how fruits are amazing for the outside of your body. Otavea gathered real strawberries, lemons, coffee beans, and peppermint in order to enhance as well as benefit everyone’s skin in every way possible. Lastly, the fact that this line has options for both men and women is great. You can shower with your significant other, each using your own Scrub! 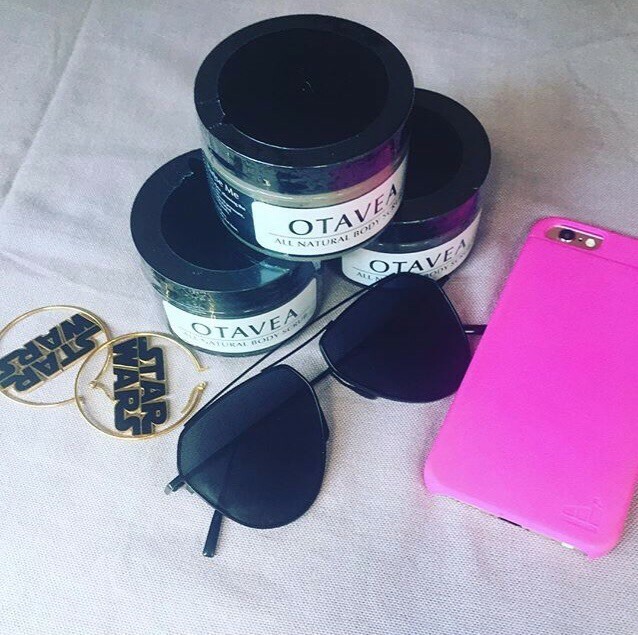 When our skin went back to being bright, fresh-feeling, and clear again we quick put on our fav’ Sunglasses from The Kript and snapped a picture with our new Pink, SlimClip Case Lite Fight for our iPhone from Wonderful Things Factory. Our new Phone Case is great as a cash keeper that has us extremely confident that our cash will not fall out while we exercise, do our makeup, or even dance! The fact that it is pink is super cute, matching most of our outfits! With our new Skin Care Line, our Shades, and our Phone Case, we are locked and loaded with great essentials! 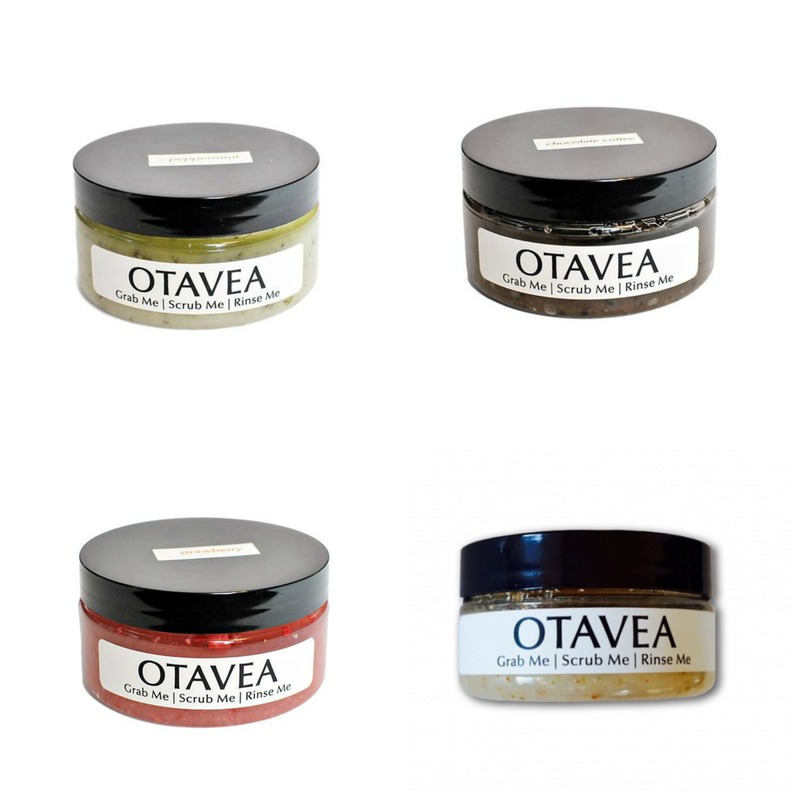 Are you a distributor of Otavea body Scrub. I am looking for a distributor for my business.